The evolution of Meccaniche Veloci continues with the introduction of the new Due Valvole at Baselworld 2012. In just five years Meccaniche Veloci has already achieved what it has taken some watchmakers decades to accomplish. This young brand has literally taken the watch world by storm. Meccaniche Veloci’s celebrated Quattro Valvole line, based on the famous four-valve racing car engines, is widely regarded as one of the most innovative new designs in recent years. Now, Meccaniche Veloci continues its evolution as a leader in industrial design and watchmaking innovation with a brand new creation: the Meccaniche Veloci Due Valvole. This exciting new timepiece, which makes its debut at Baselworld 2012, continues the Meccaniche Veloci tradition of combining motor engineering inspiration with the highest quality craftsmanship to produce truly unique timepieces. The new 44mm Due Valvole features an innovative two time zone display that allows each of the two dials to be set separately. The larger dominant dial, reserved for the primary time zone, features a date window at 3 o’clock and has indices marked with an hourly scale. The smaller secondary time zone has its indices marked with a contrasting scale of minutes. This breakthrough design, celebrating auto racing’s many famous two-valve engines, is a marvel of understated simplicity. The Due Valvole, like the celebrated designs that came before it, uses only finest materials, assembled by master craftsmen. The strap is attached directly to the case using four titanium screws. Two titanium crowns allow each dial to be set independently, while an anti-reflective scratch resistant sapphire crystal ensures that your view will remain unobstructed. 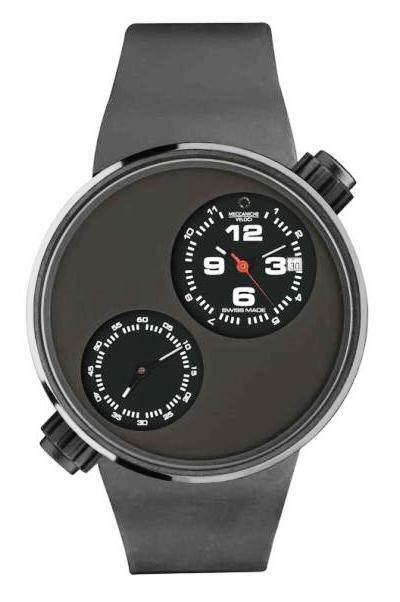 The Due Valvole is powered by a premium Swiss-made movement and is water resistant to 33 feet. While the boldly masculine styling of a Meccaniche Veloci timepiece isn’t for everybody, these breakthrough watches have acquired a loyal following among watch aficionados. With the introduction of the new Due Valvole at Baselworld 2012, Meccaniche Veloci’s reputation for creating the ultimate in high performance timepieces can only be expected to grow. 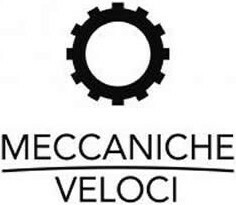 Gevril Group is the sole US agent for Meccaniche Veloci watches. Meet us March 8-15, 2012 to view the Meccaniche Veloci exhibit at Baselworld 2012, Hall 1.1, Booth D-71. Contact Michela Bonincontri by email or at 845-425-9882.